The New Year is a great time to look at your life and assess what you need to be happier and more content. And if your quickie answer is “reduce stress”, you need a plan to get that happening. One of the best ways to combat stress is with exercise. Now is a great time to sign up with a local gym start a new regime. Many clubs have specials running with the new year, and many offer a new year’s challenge program to get you started. If you have never researched health clubs, there are some things you need to know. First of all, I find the experience very unpleasant (picking a health club does not reduce stress!). 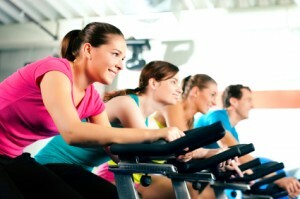 Very few fitness centers post their prices and many will not even talk to you over the phone. Most insist that you come in and get a tour before they present a plan that’s “right for you”. This means that you have to visit each gym and take their 30 minute tour just to get basic information. When I called around, I had some deal breakers on my list, but even so, they were reluctant to discuss anything over the phone. Some centers said their membership is “as low as $45/month”, but that price came with a boatload of hidden restrictions. I have had health clubs reassure me that they have lots of classes, but fail to tell me that the classes are extra. I’ve had clubs tell me that they’re running the biggest sale of the year and that I will save lots of money, but not tell me that the plans I’m asking about are not part of that sale. Expect surprises when they talk to you in person. The details of their deals are different from their sales pitch. Before you start calling health clubs, I recommend that you make an honest assessment of what you need to reduce your stress. Do you need a pool? If so, do you need hot water? Salt water? Endless Current? Lap time? Classes? Do you need a track? Do you need classes? What kind? Aerobics? Weights? Body weight? What times are best for you? What kinds of machines do you like? What kinds of weights? Do you need extra services like tanning? Personal Trainers? What kind of environment do you prefer? Family? Singles? Buff? Local? Quaint? Modern? If you travel a lot, do you have access to other gyms? Once you get to the club, you will probably find the tour fun. Health clubs have great toys, and it’s always fun to see the latest in fitness. However stay firm with what you’re looking for. Your fitness center tour will show you lots of cool features. Some you may like and will open new doors for you. Others are not right for you. The final hitch in implementing your New Year’s Resolution to reduce stress will be finding the right price. 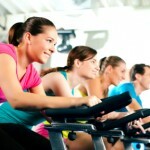 Generally, gyms love on-going members and will structure their plans to make them long term. You get discounts for longer contracts and penalties for breaking contracts. Often the membership dues are automatically withdrawn from your account. Be sure to ask what happens if you want out of your contract. I found the perfect solution for my fitness goals to reduce stress. I was looking for a bare bones facility with just weights and machines, an affordable price and a short term plan. The club got bonus points if it had classes. I assumed that the local health clubs would be too expensive or too long term and so I was researching a franchise. On a whim I called Supreme Health & Fitness and found they had the best plan and terms. They were friendly and answered all my questions over the phone. A local run health club won hands down. Once you have your health club membership, that is only the first step. You will only reduce stress if you do the exercises. Sign up for you club this week, and start exercising the next day.